This summer has seen both the sad passing of “First Man On The Moon” Neil Armstrong and the Mars probe ‘Curiosity’ successfully land on Mars to begin it’s exploration. 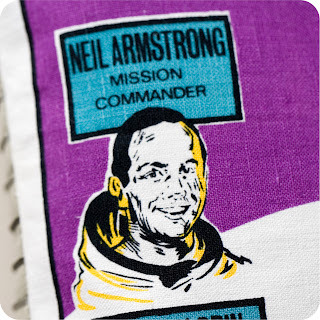 Space was also a theme seen all over the catwalks recently so it’s lucky for us then that we’ve sourced these amazing original vintage textiles to make our own space capsule collection! 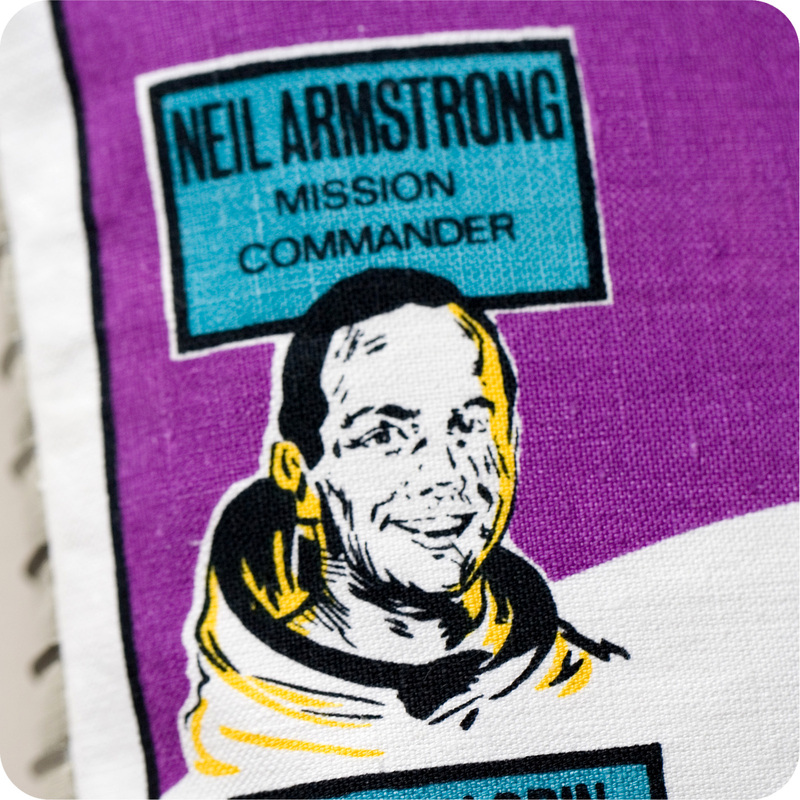 These amazing original vintage scarves were made in 1969 to celebrate the Apollo Moon Landing which made Neil Armstrong a household name. They were found perfectly preserved in a suitcase owned by a travelling salesman working in California, USA in the 1970’s. 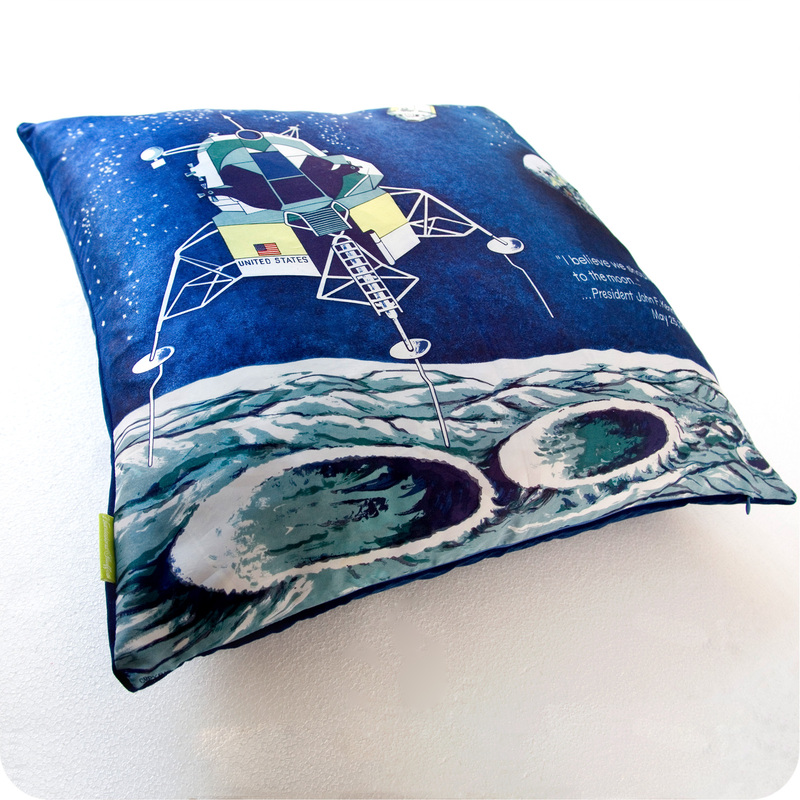 These upcycled vintage tea towel cushions are also made by upcycling original vintage souvenir textiles from 1969. 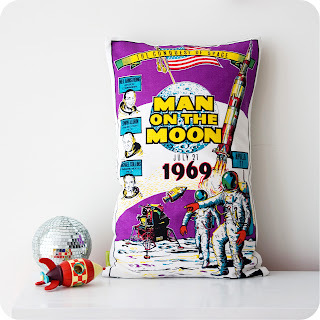 This design is so bright and fresh it’s hard to believe how old it is!! 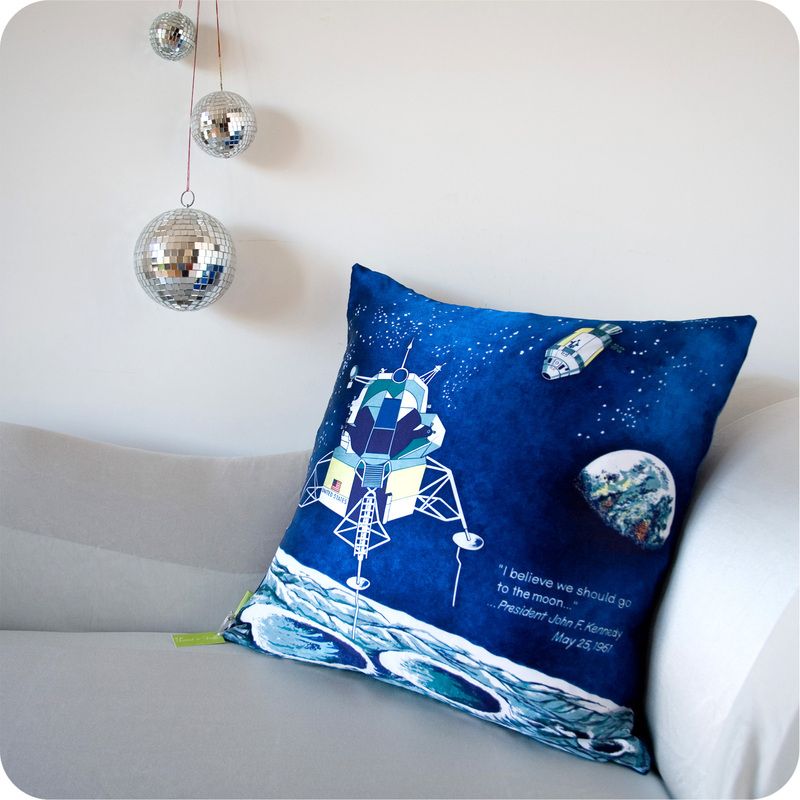 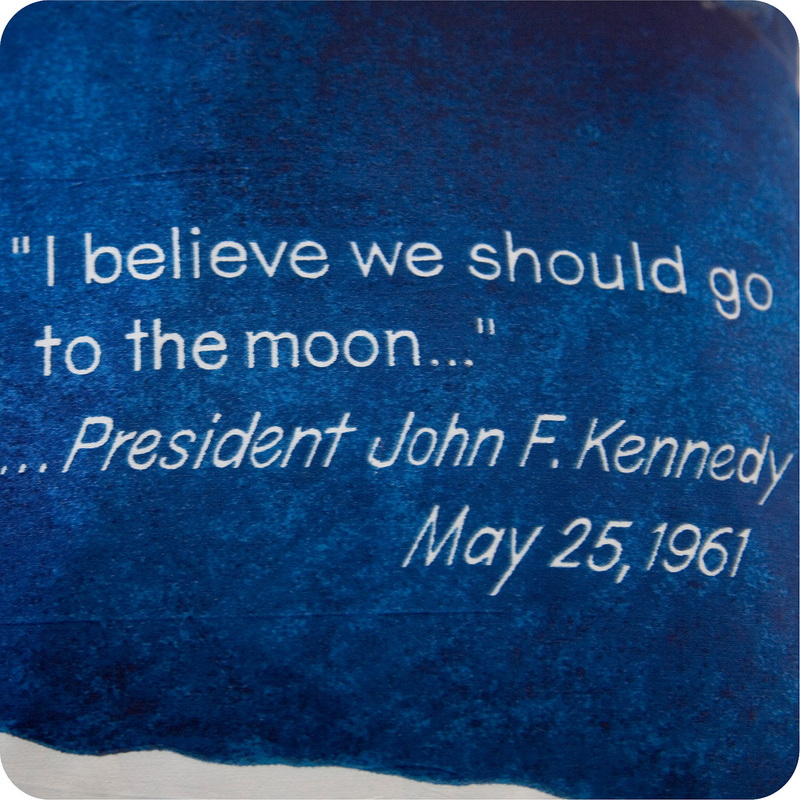 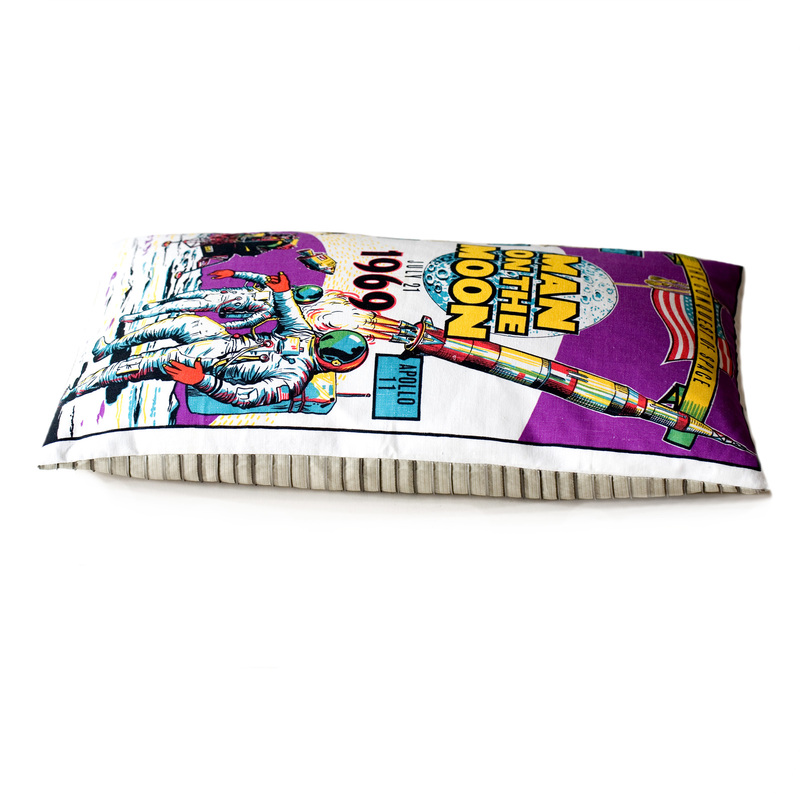 The ‘Man On The Moon’ design features a rocket,portraits of the astronauts and a moonscape and American flag. 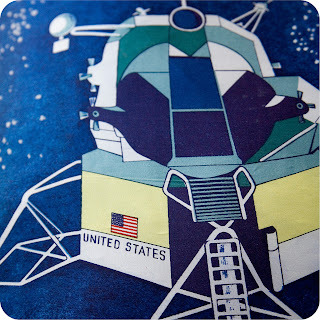 The reverse is made with eco-friendly off-cuts from the textile industry and is a designer fabric that was selected as it looks like an astronaut’s space suit! 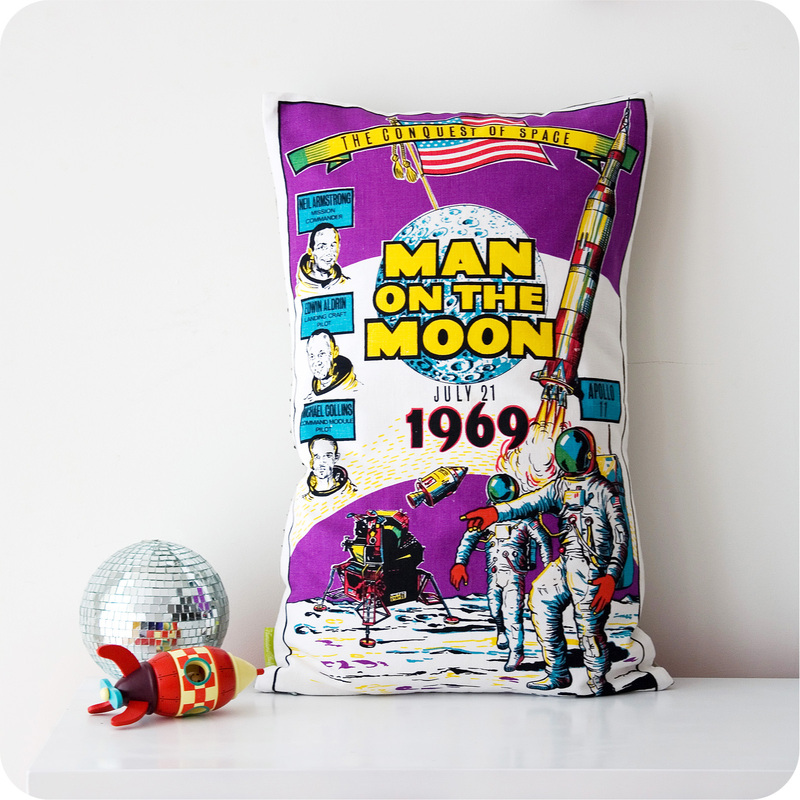 Look out for some vintage Star Wars cushions coming soon!